Contrary to popular belief you do NOT have to go through a third part booking agent to make a tandem skydive or skydiving / parachute training or lessons. There are a couple of large booking agents out there that have such a large web presence the little guys like me and hundreds of other Drop Zones(DZ) throughout the country, are getting over looked by potential customers. Let me explain how this seems to happen. Due to the convenience of the internet about 90% of bookings are from the internet. Most of the time you can book the entire skydive package (jump, video, shirt) right online, without ever talking to anyone directly. However you can always call a customer support specialist if you have other questions that need to be answered. By the end of it you have purchased a tandem skydive, video package and are being mailed a voucher that is good for at least a year at the location you bought it for. You will also usually have the option to be able to transfer the voucher at any of their nationwide facilities, however all sales are final. Sound like a pretty good deal? Here is how they make their money. 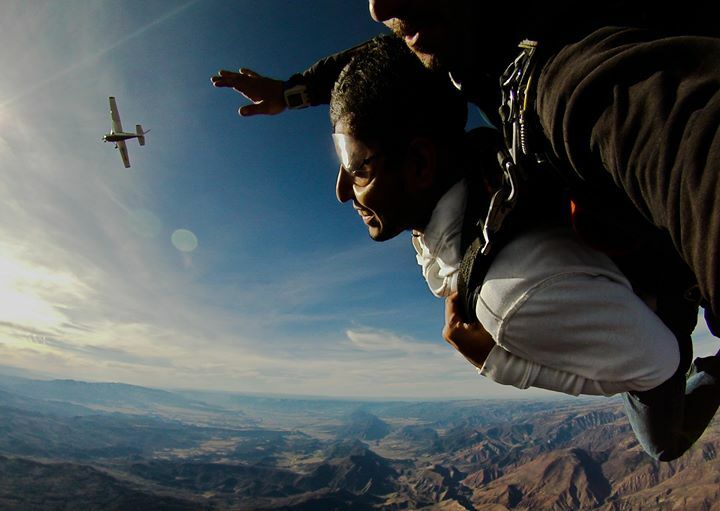 The booking agent, in most cases, has an agreement with a skydive facility in the area you are looking to jump. There have however been very unscrupulous booking agents that would sell the skydive without ever having any agreement in place. Basically they took money for services that would not be rendered. If the agreement was in place the tandem was purchased from the skydive center at a reduced rate (because of volume promised) and then sold at a rate usually 30% beyond their cost. They will sell you the jump at a price you feel happy with, usually after some haggling, and if the 30% markup is not there you will be hit with a “fuel surcharge” “airport landing/takeoff fees” my favorite the “processing fee” and in some cases I have seen gift certificates, yes a piece of paper, mailed out for an additional $20. Here is how to spot them. As you do your searches online take notice of the text you are reading. When you see the line that has anything to say about “affiliates” “partners” or “vendors” you are most likely on one of their websites. Another obvious sign it is a booking agent is the reference to a geographic location but not a specific location with an address. Every DZ you search online will tell you what airport they operate out of and the address of their location. The booking agent will not tell you what airport or give you an address to the location because they want your business to go to them and not the DZ directly. What you pay to them $261 for the jump plus a $25 “processing fee” and if you get video an additional $98 for a grand total of $384. If you would have booked directly $225 for the jump and $79 for video and still photos for a total of $304, and I also do a weekday special: Tandem and still photos for only $259.